Some people are taken aback when they realize land may come with restrictions. It’s just land, right? And if you’ve bought it, it’s yours to do with whatever you want, right? At Texas Acres, we agree with you. It’s your land and your dream. We often place a minimal set of restrictions on our properties so that the landowners around you cannot rob you of that joy. Property restrictions may be the only things preventing your neighbors from letting their septic system drain onto your property. Restrictions may be the only things stopping your neighbors from constructing a garage right on your property line. Restrictions may be the one thing saving you from having to build your dream home next to a junkyard. The list goes on. Like we said in our last blog, property restrictions are a way to help communities get along while preserving valuable resources for the future. They ultimately help protect you, your property, and your quality of life. 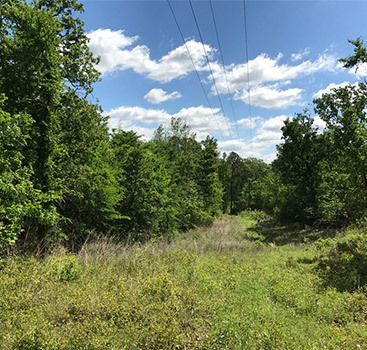 Buying land in Texas is no small investment, and you need to be informed. That means getting into the nitty-gritty. 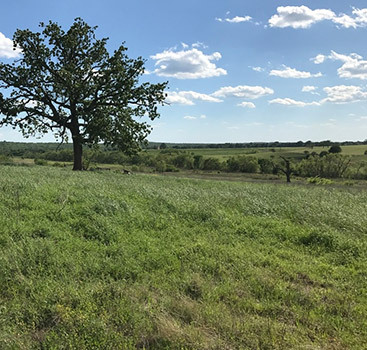 Fortunately, the Texas Acres team makes it a priority to educate our owner financed land buyers and ensure they feel confident moving forward. Let’s dive into some common questions about property restrictions. How do I know if a property is restricted? You’ll want to ask whoever is selling the land. You can also go to your county clerk’s office; just make sure you have the legal description available. If you’re working with Texas Acres, we’ll provide the restrictions before anything is signed so you know what you’re getting into. We believe knowledge is power, and we want to make sure you have it. As with any legal measure, it depends on how the restriction is written. There are restrictions that can expire, but they are usually quite old. Newer restrictions are designed to last. For instance, the restrictions put in place by Texas Acres at this time will be in effect until 2040. After that, they will renew in five-year increments. Longevity in restrictions is usually a good thing because it provides a strong, lasting foundation as properties develop. What if restrictions aren’t followed by my neighbor? We have tried to leave the power in the hands of the landowners. Our restrictions allow any landowner to pursue enforcement if they believe someone is negatively impacting the community by not following the restrictions. 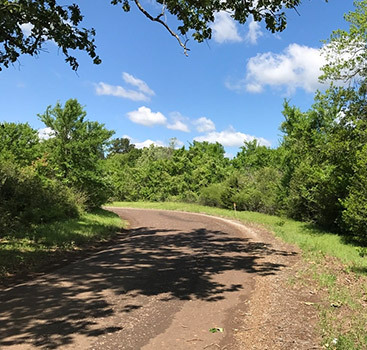 While Texas Acres is a landowner in your community, we will do our best to help the neighborhood start off in the right direction whenever we are able. Landowners have the right to enforce restrictions legally or as agreed upon between the parties. Managing the freedom of investors to do what they want with their land while simultaneously working to create a pleasant, healthy community is a difficult balancing act. We hope that you can see how property restrictions defend your investments and quality of life. 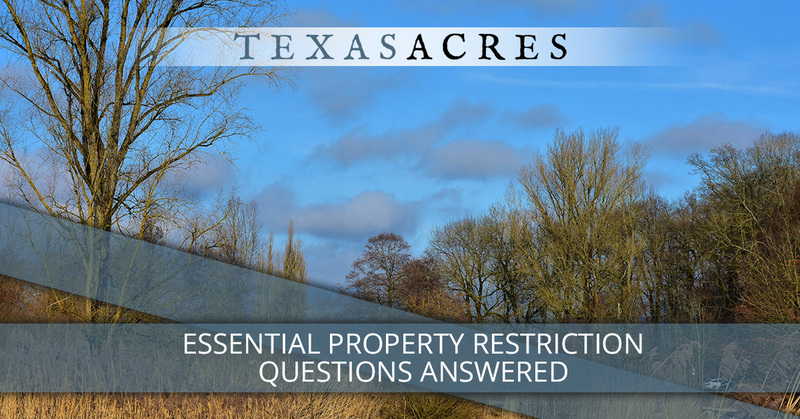 If you have any questions about the restrictions on our beautiful Texas properties for sale, don’t hesitate to contact us. The Texas Acres team is here to serve you and open up opportunities you didn’t think possible. Start a conversation today! ©2017 Texas Acres. Do not copy. All rights reserved. | Our acreage as listed is estimated and subject to change.